Bethel Square, Brecon LD3 7JP, Wales, tel 01874 625706, www.beaconscrafts.comA makers’ co-operative art and craft shop in the centre of Brecon. Open Mon–Sat 10am–5pm. Extended hours in summer, some Sundays and Bank Holidays. Grove Farm, Walterstone, HR2 0DX, England, tel 01873 890293, www.cellargallery.comPaintings of local rural and agricultural life by Christine Hunt, shown in a picturesque former dairy. ,www.courtcupboardgallery.co.ukShowcases the work of the Black Mountains Circle craft makers. Comfortable coffee shop manned daily by different makers. Llantilio Pertholey is less than 2 miles from Abergavenny. Open daily, Mar–Oct 10.30am–5pm, Nov–Feb 10.30am–4pm. Rhosmaen Street, Llandeilo, Carmarthenshire SA19 6EN, Wales, tel 01558 822010, www.crafts-alive.co.ukCommunity crafts shop which brings together over 50 local craftspeople. Traditional wooden lovespoons, pottery, glassware, soft furnishings, textiles, silver jewellery and much more. There is always a friendly craftsperson on hand to help! Open daily, Mar–Oct 10.30am–5pm, Nov–Fev 10.30am–4pm. 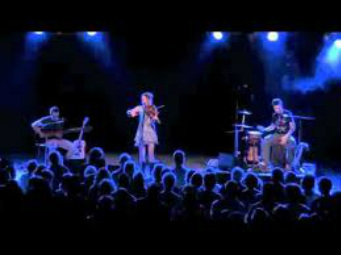 Festival of THE CELTS, a wellbeing weekender of arts music dance food and drink . Bank holiday weekend in spring 2019 MAY Friday 3rd and Saturday 4th We look to your business as a potential piece of the jigsaw within the participants and team here in Llandeilo, Carmarthenshire. Over 30 Celtic based foods and drinks, over 40 musicians and Celtic based artists to be involved in this 2 day bank holiday feast of Music, workshops, well being including bushcrafts and woodcrafts amongst the many workshops. One of our ‘Walking By Bus’ walks approximately 2 miles in a circular route with views across Rhossili Bay (in the top four of the UK’s Best Beaches (as voted by TripAdvisor) for four years running!) and across to Worm’s Head. Another one of our ‘Walking By Bus’ routes and part of the Gower Coast Path. This is a circular walk, approximately 2 miles in length – taking in some of our most popular, award-winning beaches. Approximately 2 miles along a scenic route around this beautiful reservoir – look out for kingfishers or if you’re lucky you might even see a Red Kite! From Cockles and laverbread, to Gower Potatoes and fine cheeses – Swansea Market is the place to come for a true taste of Wales. It is the largest indoor market in Wales and has a wide variety of stalls, many of which have been run by local families through several generations. Subscribe to the newsletter at the bottom of this page, and you’ll be first to hear once the walks are announced. 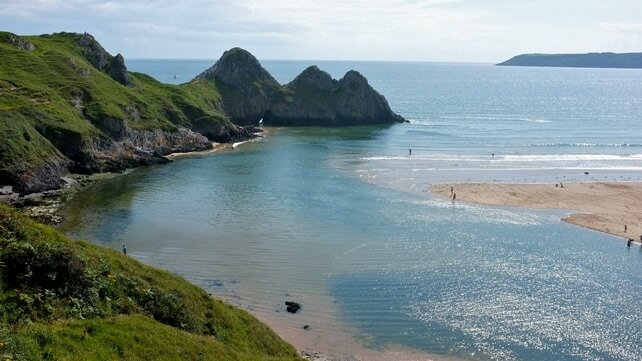 In this small pocket of south west Wales, measuring just 19 miles long and covering over 70 square miles, Gower has an abundant rich variety of landscape, flora, fauna and a cultural heritage too. The size and terrain makes this one of the most accessible areas to walk for all, and our festival offers everyone the opportunity to try something new, revisit a much loved haunt, or simply stroll along the water’s edge. All Gower Walking Festival walks are guided by people who know about and love Gower and who will share their expertise as we walk. In 2018 there were walks about castles, churches, industry. Walks for wheels, for dogs, for poets and photographers. We had easy walks on the Mumbles waterfront, moderate walks to Pwll Du and strenuous walks to cover the four peaks of Gower. And we also partnered with specialists to provide Tai Chi, mountain boarding, parkour and coasteering. Spaces are limited on most walks and activities, so once 2019 walks are announced, do book early to avoid disappointment. We just ask that you read and take note of the booking conditions. So, pull on your walking boots and book your walk! We are open every day from 10.am to 5pm Tearoom open daily serving hot and cold food, Childrens Playareas, Animal Park and Mill workshops open as well as the events timetable. visit http://gowerheritagecentre.merlintickets.co.uk to make a reservation. Down the Rabbit Hole with Real Tea! Tea Party with Alice and the Mad Hatter! Book on for this very special Easter treat! A special party with Alice and the Mad Hatter with real tea, cakes, sandwiches and more! Have a chatter with the Hatter! Play some games. And have a sing and a dance with Alice. Its sure to make your Wonderland dreams come true! It's Easter everyday at The Gower Heritage centre this half term week! And we are off to Wonderland! Meet the White Rabbit, Alice and the Mad Hatter! Join in with the fun and games on a mad-capped Inter-active Tea Party Story Adventure! Wear your Easter bonnets, mad hats, or wonderful wonderland costumes for the mad hat Fancy Dress competition! Bounce along to the bunny races and of course prepare to get silly for our eggstra special egg and spoon chase. And Quick before the tick tock of the white rabbits clock runs out, how about following Alice on a special treasure quest for some tasty treats? There will be Easter quizzes, Easter crafts and an eggsplosion of other eggtivities! Standard entry fee applies. The Gower Cheese & Cider Festival offers visitors a wide selection of locally produced, award winning cheese, cider and perry from Wales. There will also be stalls and live music until late. 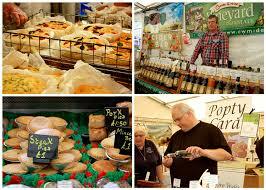 A large and successful market first started in 2013 to provide opportunities for small, independent Welsh producers. The Marina street market in Swansea sells a huge range of Welsh produce from beautiful hand made items to delicious, fresh food. The last Saturday of the month is the date for the Llandovery Farmers Market which is held in the Market Square from 9.00 to 14.00. The Arwel y Mor Centre, Porthcawl which is off Station Road, is where to find the Bridgend Farmers Market on the fourth Saturday each month from 10.00 to 13.00. There are also Local Produce Markets at Sketty (first Saturday each month at Bishop Grove School, de la Beche Road, 9.30 to 12.30), Mumbles (second Saturday at The Dairy Car Park, Oystermouth Square, 9.00 to 13.00), Llangennith (last Saturday April to September at the Parish Hall 9.30 to 13.00), Penclawdd (third Saturday at the Community Centre 9.30 to 13.00), Pennard (second Sunday at the Community Centre 9.30 to 12.30) and Pontarddulais (second Wednesday at St Teilo Street 9.30 to 13.30). 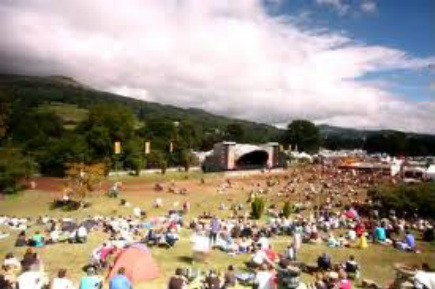 Located in the truly beautiful Brecon Beacons near Crickhowell this independant world music festival has grown over the past ten years into a music event of world renown. Brecon Jazz Festival is a music festival held on an annual basis in the rural surroundings of Brecon, in south Powys, Mid Wales. 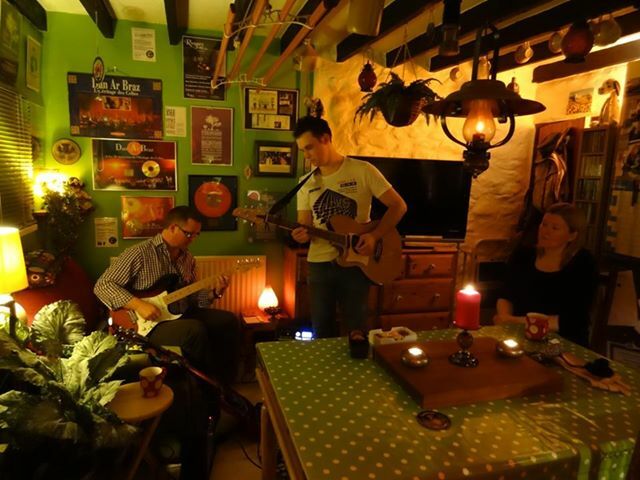 Normally staged in early August, it plays host to a range of jazz musicians who travel from across the world to take part and to many visiting tourists who are attracted by the music, the social scene and the other leisure opportunities on offer in and around the Brecon Beacons. There are many Dylan Thomas Festivals throughout the year but one of most established is held at the Dylan Thomas Centre , an arts centre located in the Maritime Quarter in Swansea, Wales. Formerly the city's Guildhall, which was originally built in 1825, the Dylan Thomas Centre was restored and refurbished to host the UK Year of Literature and Writing in 1995. It was opened in 1995 by American ex-President Jimmy Carter, and has a permanent exhibition on the life and work of Dylan Thomas, as well as a restaurant and bar, a bookshop cafe, conference rooms and a theatre. The centre houses the permanent ‘Man and Myth’ exhibition, based on the largest collection of memorabilia of its kind in the world. 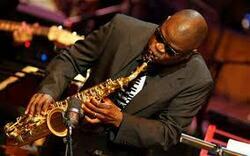 It is designed to appeal to the Dylan expert and interested visitor alike. This interactive exhibition explores Dylan’s life and work through a variety of media and includes letters, books, worksheets and photographs. The Dylan Thomas Centre is home to a year-round programme of literary events, including book launches, plays, poetry evenings, changing exhibitions and science talks. It hosts the annual Dylan Thomas Festival held between Dylan’s birth and death dates, 27 October to 9 November. The Dylan Thomas Centre’s staff also provide a variety of talks and tours, such as talks on aspects of Dylan’s life and works, on contemporary literature, on writing poetry and on cultural tourism. Visit Aberglasney Gardens between 1st November 2018 and 28th February 2019 and receive a voucher to the value of your admission to spend in the Tearooms. The offer excludes the three days of the Aberglasney Winter Fair: 30th November, 1st December and 2nd December. The Brecon Craft Fair takes place in the town’s historic market hall and is held every third Saturday of the month between 9am and 5pm. Each and every month, up to around 60 traditional and independent craft workers and artists set up shop in the market hall, resulting in a truly unique collection of Welsh arts and crafts; from beautiful handmade soft furnishings to hand painted jewellery and locally crafted Faberge style eggs. Not only will you be able to pick up a handful of goodies, you’ll also be able to talk to artists and craft workers themselves and find out just how much effort went into creating each and every item. You will be pleasantly surprised not only by the quality of the crafts on offer, but also by the fact that you can pick things up for the fraction of the price you’d find elsewhere. Easter Bunny Bank Holiday Trains The Easter Bunny returns to the Gwili Railway for 2019. Enjoy traditional Easter weekend fun at the steam railway all included in your special event ticket price. Take a trip back in time on the steam railway and join in the Easter Trail. Meet the Easter Bunny with a Easter Egg for every child, enjoy the fun activities and watch the amazing magician perform his close up magic tricks. We are also running our Diesel Railcar, Steam Trains and Cream Tea Dining services during half term. Crack the clues to find 15 letters which spell a message! Get it right to earn your Easter egg. Admission and trail FREE for children. Normal admission applied to adults. Easter Hunt: Easter weekend in Pembrey Country Park. Pick up your clue sheet from the Visitor Centre and off you go. Work out the clues, if you manage to solve all the clues and find the hidden word, you will earn a prize! Learn about herbs and their uses both now and in the past on a tour of our herb garden. On the banks of the idyllic River Wye, you’ll find the festival where the world’s leading thinkers come together to debate the most cutting edge ideas of our time. HowTheLightGetsIn, the world’s largest philosophy and music festival, returns to Hay for the Bank Holiday weekend of May 2019. Come along to our brand new Welsh Story and Rhyme Sessions in St Clears Library, 10am every Friday starting on the 14/9/18, a warm welcome to everyone! FREE! Pontyates Welfare Hall, Pontyates, Llanelli SA15 5TR. 10-12.30pm. Every third Saturday of the month. 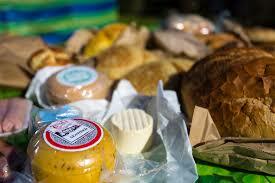 Local charcutier, organic vegetables and fruit, plants, flowers, bread, eggs, pastries, jams and chutneys, honey, and cheese. Craft stalls also in attendance - home made cards, needlework, knitted garments and toys, jewellery. Over 20 stalls in attendance usually. In conjunction with the market, refreshments will be available raising funds for individual charities. A warm welcome to all. Located in the heart of Llanelli, the Centre is anchored by a large Asda as well as having a Wilkinsons, Poundland, Argos and Yankee candles among others. The Craft event is held under cover in the Atrium area next to the coffee shop. Time: 9.00a.m. - 4.30p.m. A range of stalls will be selling selected gifts and handmade crafts at affordable prices. Come along and join us for a gentle walking tour of Carmarthen. Meet in Nott Square at 11.15am for an hour long walk and talk around our historic town with our wonderful volunteer guides. Visit the jail cells and the ruined castle and learn some of the turbulent history of Carmarthen town. The tours are completely free. The castle and the jail cell tour are also free and can be visited any time between 10am and 4pm daily except for Sunday. There’s no better way to cheer up the very long, grey month of January than a food fair. And this will be a very tasty affair with lots to choose from like the producers of the Best Wine in Wales – Llaethliw Vineyard. 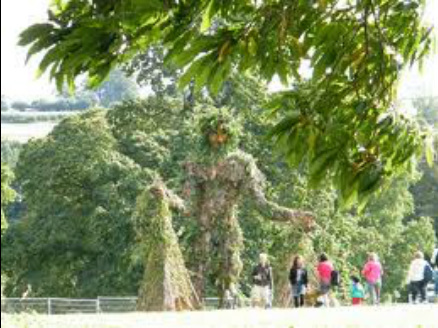 ​National Botanic Garden of Wales, Middleton Hall, Llanarthne, Carmarthenshire SA32 8HN. 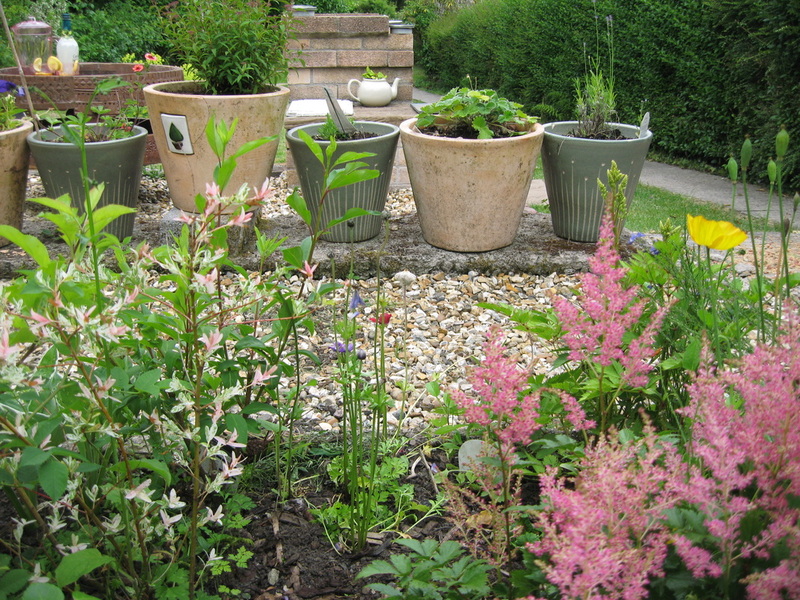 Entry is FREE for Garden members and parking is FREE for all. ​St David is the patron saint of Wales, whose saint's day is celebrated annually on 1 March. 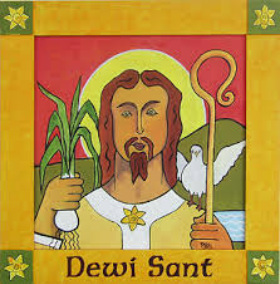 St David (or 'Dewi Sant' in Welsh) was born on the south west coast of Wales, near the present day city of St Davids. His family was aristocratic. He was educated at a monastery and became a missionary, travelling through Wales and to south west England and Brittany to spread Christianity. He is also supposed to have visited Rome and Jerusalem. David founded a monastery where St Davids stands today. He died in 589 AD and was buried in the grounds of his own monastery. He has been the patron saint of Wales since the 12th century. "Gwnewch y pethau bychain..." (Do the little things) - St David's last words before he died are his most famous. Swansea Prom, with its range of attractions coupled with the spectacular 5 mile stretch of Swansea Bay, is a great destination for visitors and residents of all ages. Come and enjoy the swan and dragon pedalos in Singleton Boating Lake, a round of golf at Ashleigh Road Pitch & Putt, or let the kids play at Blackpill Lido and Southend Gardens, all connected by the Swansea Bay Rider land train. The Halfpenny Folk Club is also held at the Greyhound Inn, Oldwalls, Llanrhidian, Gower SA3 1HA, every Sunday night except Bank Holidays. It starts at 8.30pm and has guest artists once a month and singer's evenings in between when all are welcome to sing, play or just to listen. Singer's nights are free, there is an entry fee for guest nights. Our annual festivals celebrate our very best walking, food, drink, arts, music and entertainment the National Park has to offer. We like nothing better than a good get-together, and all are welcome. Come and join us! MARCH Crickhowell Walking Festivalwww.crickhowellfestival.comCrickhowell is home to one of Wales’ best-known walking festivals. Taking place over ten days in early March, it features a great variety of guided walks plus talks from eminent guests and a twmpath, a traditional Welsh ceilidh-style knees-up. MAY Talgarth Walking Festivalwww.talgarthwalkingfestival.orgFounded in 2013, this active gathering will have you exploring the countryside around Talgarth and learning something new about the landscape. MAY Hay Festival of Literature and the Artswww.hayfestival.comHay-on-Wye is rightly famous for this superb event which celebrates contemporary literature and intelligent discussion. The concept may be unashamedly highbrow, but the festival definitely has a fun side, with plenty of humourists in attendance, tasty food on offer and lively musical events at fringe venues. The formula has proved so successful, it’s spread from Hay to places as far-flung as Lebanon, Mexico and the Maldives. Talgarth Festival of the Black Mountainswww.talgarthfestival.org.ukIn Talgarth, you can join the locals as they celebrate the August Bank Holiday weekend with a free family day out, featuring food, music and entertainment. Abergavenny Food Festivalwww.breconbeacons.org/food-festivalsAbergavenny's weekend-long festival of food, drink and foraging already has an excellent reputation and, like good wine, it gets better every year. Expect stalls, demos, talks and fascinating activities such as guided wild food walks. ​Brecon Arts Festivalwww.artbeatbrecon.orgOctober is all about art and crafts in Brecon, with a stimulating programme of exhibitions, workshops, demonstrations, open houses, pottery, glassmaking and drawing sessions, plus poetry, theatre and lots of handmade goodies to buy. Brecon Food Festivalwww.breconbeacons.org/food-festivalsThis one-day event is a great opportunity to exercise your tastebuds. It seeks to boost the local food and farming industry by raising awareness of what’s available. Centred on Brecon’s Market Hall, it spills out all over town. One of the earliest mentions of the Dragon dates to about 800A.D when it was linked with Wales in the writings of Nennius. References to the Dragon frequently occur in Welsh medieval poetry,where the creature was used to symbolise the country. The Red Dragon was recognised as the badge of Wales on 10th December,1901, at which time it was added to the arms of the Prince of Wales.On 11th March,1953,the Dragon was again sanctioned, this time being made the official badge of Wales. It was only after this, that it became the authorised Welsh National flag.